This manual provides instructions on how to perform double-sided cutting with SRM-20 using SRP Player and Modela Player 4. This document describes the procedure for replacing the spindle motor (SM-20) on the SRM-20. If you are replacing the spindle unit and the motor at the same time, refer to the Spindle Unit (SS-20) Replacement Manual. This document describes the procedure for replacing the spindle unit (SS-20) on the SRM-20. SRM-20 sample file found in the user manual. This is an online manual that must be read after this guide. It contains instructions about work that must be carried out before using the machine such as downloading and installing software and the User's Manual. 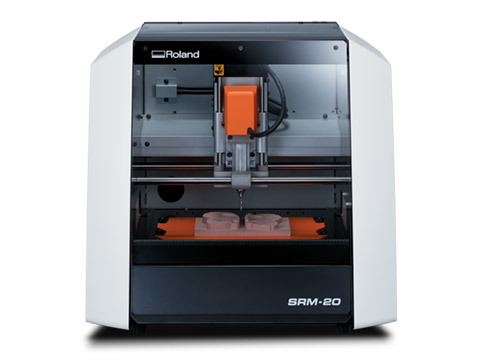 Since 1986, Roland has been at the forefront of 3D fabrication, delivering tens of thousands of milling machines and the industry's best support for a wide variety of applications.